If I had access to a secret stash of iPhone knockoffs - a phone that worked identically to the real iPhone, but was a bootleg made of inauthentic parts - how much could I charge? Why could I charge that? Could I sell them for $10 less than the purchase price of a real iPhone? What about 25 percent off? How much is authenticity worth? The pricing of fakes reveals something important about how the human mind calculates value. In many instances, we crave authenticity as an end unto itself. We want the real iPhone not because it works better but because it's the real one. The same logic explains why we splurge on Hermes bags, Rolex watches, Prada T-shirts, fancy Bordeaux, and expensive art. (How much would you pay for a fake Picasso print?) 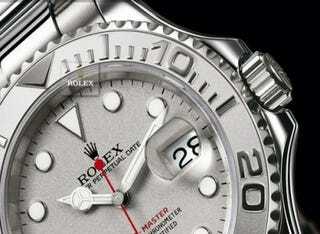 While a Rolex is a lovely piece of time keeping machinery, the value of the watch has nothing to do with its function. Instead, it depends on the intact authenticity of the brand. It's easy to ridicule this behavior as mere snobbery. We might look down on the pretentious fools carrying Louis Vuitton luggage, or bragging about their Vertu phone, or wearing underwear with a big logo. We probably assume that they've just wasted a lot of money on some costly social signaling, or that they're using the brands to assuage their deep insecurity. Unfortunately, we're all vulnerable to the same tendency. There's now suggestive evidence that our faith in the authentic - especially when the authenticity is supported by effective marketing campaigns - is a deep-seated human instinct, which emerges at an extremely early age. Consider a clever experiment led by the psychologists Bruce Hood and Paul Bloom. The scientists tested 43 children between the ages of three and six. The children were shown a "copying machine" - it was actually tachistoscopes that were modified to have flashing lights and buzzers - and told that it could make an exact copy of any object. After the machine was demonstrated for the kids - the scientists "copied" a block and a rubber animal - Hood and Bloom then told the kids that the machine could also duplicate toys. A ‘‘stretchy man'' was then placed in the box and the illusion repeated. Interestingly, the young children actually preferred the "duplicate" toy and chose it 62 percent of the time. The kids didn't worry about the "authenticity" of the stretchy man. But Hood and Bloom didn't stop there. They also had many of the young kids bring in their "attachment objects," such as their favorite blanket or stuffed animal. (I still remember losing Johnny, my stuffed penguin, at the tender age of five. Grief.) The scientists then offered to "copy" the object for the kids. Four of the children simply refused - they wouldn't let their blankie anywhere near that nefarious device. But even those kids who allowed their attachment object to be "copied" almost always refused to see the objects as equivalent. The new duplicate was a bootleg blankie, an ersatz stuffed animal. Even though the children were assured that the objects were identical, they intuitively believed that the copy wasn't the same. It lacked a history, a bond, a sentimental attachment. It was inauthentic. The same principle applies to brands. Although we outgrow stuffed animals, we never get beyond the irrational logic of authenticity and essentialism. There are certain things whose value depends largely on their legitimacy. While I might listen to bootleg music on my iPhone, I want the phone to be genuine. I want that Apple logo to be real. Why? Because the brand has effectively woven itself into my emotional brain. * Because when I see that logo, I don't see a functional object. Instead, I've learned to respond to everything that isn't functional, all those subtle connotations conveyed in the glossy ads. There are many blankets in the world. But there is only one blankie. The best brands are blankies. *The clearest demonstration of this phenomenon at a neural level remains the classic McClure/Montague study of Coke and Pepsi. Note: This post was inspired by an awesome presentation at Scifoo 2010 by Bruce Hood and Paul Bloom. If you'd like to learn more about this work, you should read their books.